Placed at an altitude of 15000 feet, close to the beautiful Valley of Flowers, Shri Humkund Sahib is one of the most revered religious sites for Sikhs as well as Hindus. The Gurudwara lies on the banks of the sacred Hemkund Lake. The site is inaccessible due to heavy snow in winters and can be visited only in summers. 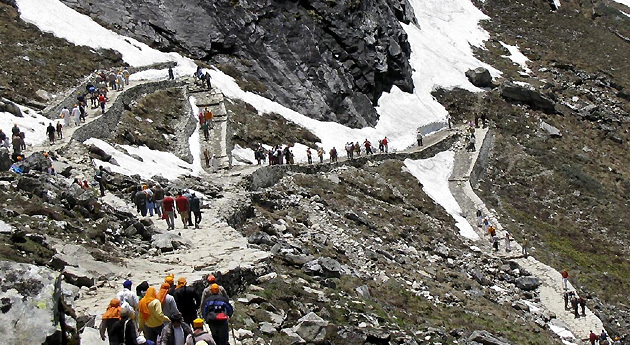 A meticulously-planned journey 6 Nights and 7 Days, Hemkund Sahib Yatra, offers you a chance to tour this revered site. 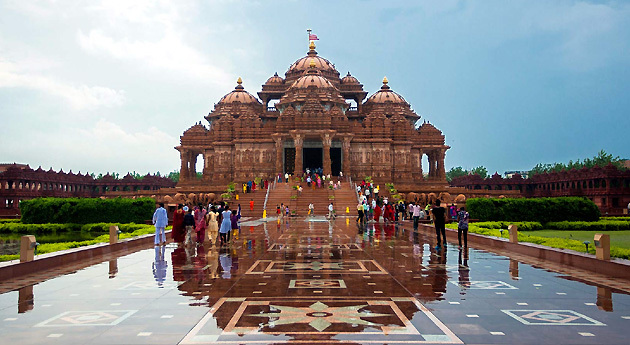 Important destinations covered during the itinerary are Haridwar, Joshimath, Govind Ghat. Ghangaria, Hemkund Sahib, Ghangaria, and Rishikesh. An amazing mix of spirituality and natural beauty, it includes evening Ganga aarti at Har-ki-Paudi, trek through challenging routes of Ghangaria, Pipalkoti and Govind ghat, and visit to the sacred Hemkund Sahib Gurudwara. As you arrive at the Delhi airport/railway station, meet our tour representative who welcomes you. Later, start your road journey to Haridwar, which is of about 5 to 6 hours. As you reach, complete the check -in formalities at the hotel. One of the most-visited religious sites in India, Haridwar is that place where the sacred river Ganga touches the plains for the first time. A crazy number of devotees visit this place all around the year. The place is an amazing spiritual feel to it. The evening is scheduled for temple visit including Mansa Devi temple for offering prayers. Dedicated to Goddess Mansa Devi (a form of Ma Shakti), this temple can be visited through trolley or on foot, as it lies atop a hill. Later, attend the very popular Ganga aarti at Hari- Ki- Pauri. This ceremony is going to be an unforgettable experience. Overnight stay. After breakfast, complete the check- out formalities from the hotel and begin the road drive to Pipalkoti via Rishikesh- World’s Yoga capital that is dotted with several spiritual ashrams; Devprayag- one of the Panch Prayag of River Alaknanda where River Alaknanda and River Bhagirathi meet, Rudrapryag- confluence of River Mandakini and River Alaknanda and Karnaparyag- the meeting point of Rivers Pindar and Alaknanda. Evening arrival in Pipalkoti. Check-in and relax. If time and energy permit, you can explore the surroundings on your own.Overnight stay. On the 3rd day of the tour, have your breakfast and start the road journey for Govindghat. Enroute, halt at Joshimath for visiting Adi Shankaracharya Math- one of the 4 mathas established by Adi Jagatguru Shankaracharya in the 8th century and Narsingh Mandir a temple dedicated to the 4th incarnation of Lord Vishnu, Lord Narsingh. Continue the drive to Govindghat. On reaching, begin the trek to Ghangaria. As you reach, check into a guest house. In the morning, after breakfast, begin your trek to Hemkund Sahib. As you reach, take a holy dip in the Hemkund Lake and then enter Hemkund Sahib Ji for darshan. 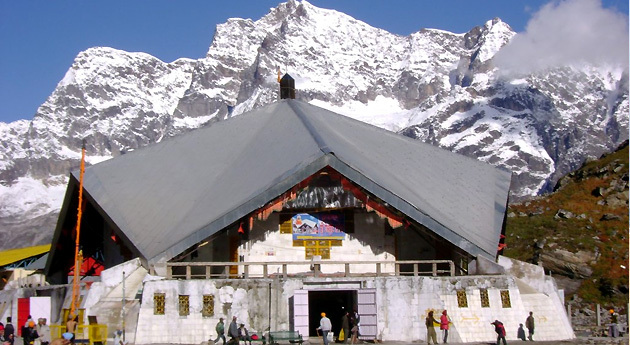 Lying at an altitude of 15000 feet, Gurudwara Hemkund ji is visited thousands of devotees all around the globe. One of the most revered Sikh gurudwaras, it lies on a high altitude and thus has breathtaking surroundings. Later on, start the return trek to Ghandaria. On the 5th day of the tour, the day starts early when the trek to Govindghat starts. After you reach Govindghat, vehicle with taxi is waiting for you here. Hop-in to start your journey back to Rudraprayag via Joshimath, Chamoli and Karanprayag. On the way, halt at important sites. As you reach Rudraprayag, check-in at the hotel and get ready for sightseeing including Rudranath temple– a temple dedicated to Lord Shiva, Chamunda Devi temple- an ancient temple dedicated to Ma Chamunda, and Koteshwar Mahadev Temple- a temple of Lord Shiva on the banks of Alaknanda River. Today, post breakfast, the road journey to Rishikesh via Srinagar Garhwal starts. En-route, halt at Devprayag, the meeting point of Alaknanda River and Bhagirathi River. Marvel at the wonders of the nature. Later, continue your journey to Rishikesh. Complete the check-in. If time and energy permit, you can explore the place on your own. 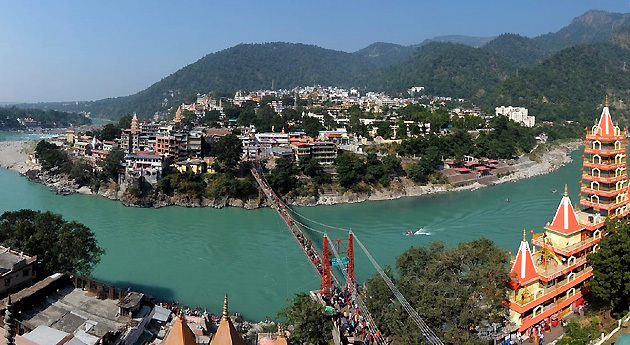 Famed as the ‘Yoga Capital of the World’, Rishikesh is dotted with several attractions including temples and ashrams. It is also the gateway to various religious place in northern India including the Chardham of Uttarakhand. On the last day of the tour, post breakfast, your road journey back to Delhi begins. On arriving, get transferred to Delhi airport/railway station to board flight/ train for your onward destination.